Be the first to hear about their new releases and deals. Download the Booksprout app and search for Dean Ashbie today! 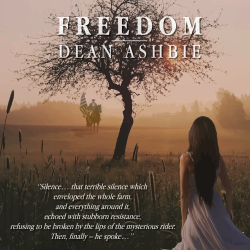 Dean Ashbie is an author of no-holds-barred erotica stories with a whole lot of romance weaved into them. He stands for writing for the ladies, to ease their days or nights, or simply make a public transport trip shorter, and most importantly - give them what they yearn the most and leave them to their imagination. However, all of his stories are written to the likings of men, as well (or at least he likes to believe so). He always aims to please his readers with his stories, arousing their minds beyond their wildest fantasies.